It’s been two weeks since I’ve been able to get some time on the car due to work trips. The few times I’ve been home, I keep thinking that single headlight is staring at me in the same way a half completed monster would fondly gaze at Victor Frankenstein in the hope it would be completed. But the suspension still is not here yet and I’ve got no word from Jon at Caterham USA on when it will arrive. 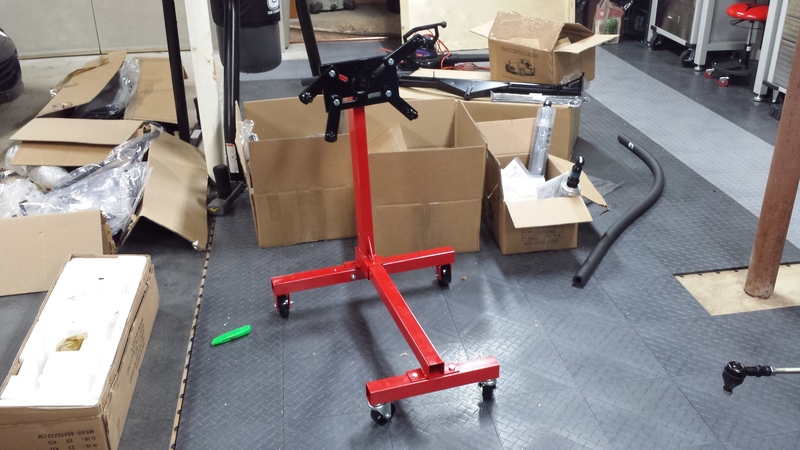 In the meantime, I’ve got an engine stand I picked up at Harbor Freight for $50 to assemble and can’t think of a reason not to tackle something simple to get myself going again. Assembly is easy; few bolts here and there and viola’, we now have an engine stand. Once the engine stand was done, I started tinkering with the hand brake cables. Assembly was straight forward, although I’ve discovered I’m missing the thick clevis pin. When reading build blogs to figure out the headlights, I remembered seeing someone else missing theirs. I did a quick double check and sure enough – numerous other folks were missing theirs. Seems like an odd part to be missing, I mean, it’s just a metal dowel and can’t be that complicated to make. Another note – the clevis and some of the handbrake parts seem very sloppily made. They don’t quite line up, the thin clevis didn’t quite fit (rubber mallet solved that pretty easily), and in general just seemed… messy. But it seems to work, or will I should say, once the thick clevis pin gets here. I sent an email to Jon at Caterham letting him know I needed that as well. I also followed up on the suspension to get an ETA for those parts – it’s been almost 7 weeks and no closer to getting them than before. 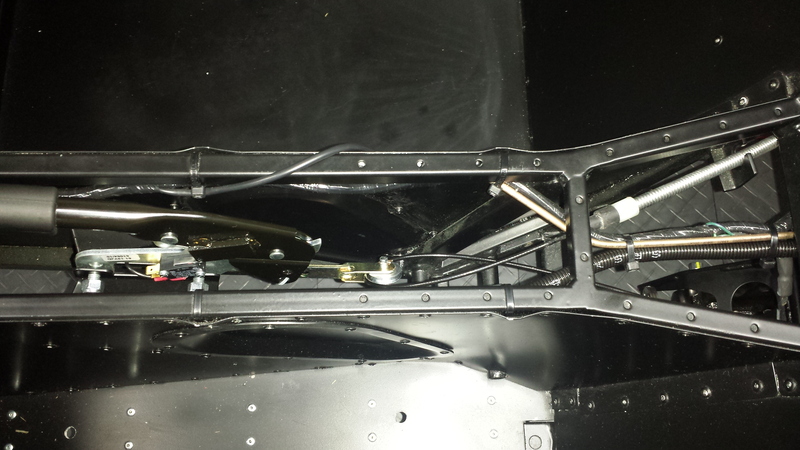 A quick picture of the handbrake assembly loosely fit into the transmission tunnel and I called it a day. The diff will have to wait until I’ve got more hands and want to read up on it a bit more before I try to tackle it.